This is a well made film with a big heart. It features a likable cast and crew doing what they do best. It’s a funny, touching, and deeply personal story that I’m very glad Kumail is sharing with us. And yet, there’s definitely something I missed that everyone else seemed to get. It’s certainly not the quality of the performances, as they’re excellent across the board and feature vets Ray Romano and Holly Hunter essentially carrying an entire half of the film. It’s certainly not the dialogue, as it’s frequently engaging and witty and even contains some brilliant dark jokes. It’s certainly not the messages of acceptance and love that are prominent in the story. I’d say the biggest problem here is a structure one. 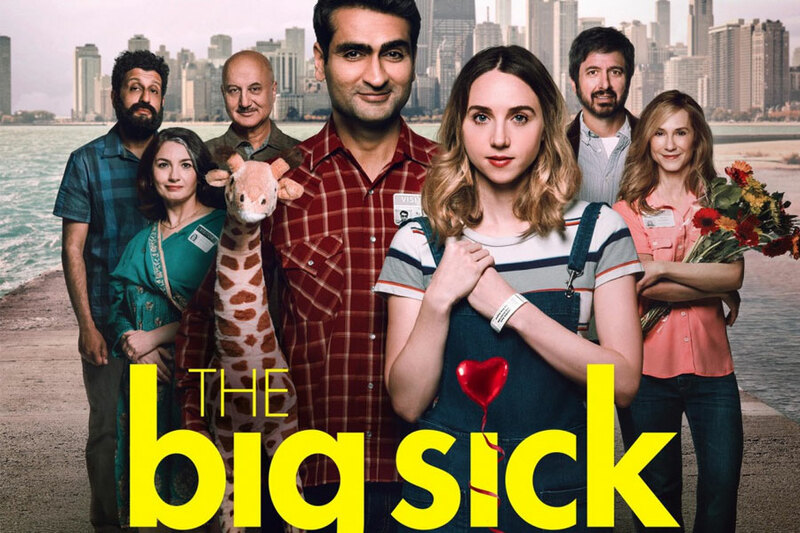 The opening act has an indie rom-com feel to it as Kumail and Emily meet and strike up a romance, but once the “big sick” occurs, Kazan’s character is taken out of the picture for the most part and it feels like a very different film. This is not to say that one act is better than the other or that the film’s desire to explore the familial ramifications of the “big sick” are not worthwhile; rather, the various pieces just don’t fit together as well as they should. It’s admirable seeing the amount of mileage some of the cast gets out of (too) limited screen time, but the story also drags in places as collateral damage of its inability to smoothly transition between the first two acts. To add onto this, there’s also a humdrum subplot involving a group of comedians trying to make it to the big leagues, and being able to enjoy Bo Burnham’s presence still doesn’t prevent these characters from being the weakest and most superfluous of the film. All being said, it’s still very solid. I just don’t quite agree with the extent of the praise that has been lavished upon it. Perhaps it’s because I’m getting a bit tired of this “comedian slice of life” framework, or perhaps it’s because I wasn’t able to connect with the story on the same level as others. But more likely it’s just because this isn’t anything special.